When two people with the same zodiac sign fall in love, there is often an instant compatibility born of genuine understanding. Sometimes, however, the same sign couple are simply too similar to retain each other’s interest. Not so with the Sagittarius man and Sagittarius woman – this pair of adventurers may choose to journey together for a lifetime. Sagittarius man Sagittarius woman compatibility is fire sign based, and so as you might expect this is a highly sexual, exuberant match. The couple are equally passionate, equally tempestuous and equally quick to anger. Importantly, and crucially for Sagittarius man Sagittarius woman compatibility, they are also equally quick to forgive and to forget, so although their rows will be dramatic, there is no lingering resentment for either partner. The Sagittarius man and the Sagittarius woman are very intellectual together, and very philosophical. This couple will love to talk, setting the world to rights and coming up with some very interesting and off the wall ideas together. They have the spark and the initiative to do something about it too, so this couple can lead a very active and useful life together, helping both themselves and others. They are quite idealistic by nature, and will enjoy working together for charity. Sagittarius man Sagittarius woman compatibility is sure to involve a lot of travel and a love of the great outdoors. This isn’t a couple who will be sitting at home doing the crossword on a Sunday morning – they will be out kayaking or walking a ridge somewhere. Energetic, spontaneous and happy, the Sagittarius man and Sagittarius woman seem to have it all. What could possibly go wrong? Well, of course, there’s the slight problem that neither the Sagittarius man nor the Sagittarius woman likes to make a commitment. This couple may be together for years or even decades without any sign of marriage or any other formal commitment. It doesn’t mean they don’t love each other – they just don’t see the point of following convention, for one thing, and for another….they like to keep their options open. Sagittarius man Sagittarius woman compatibility may even result in an open relationship, with both partners free to take lovers. Most people would raise their eyebrows at this, but if it works, and both partners are happy, that’s their business. So although the lack of commitment may be a problem for society and for the couple’s families, it’s not really a problem for them. What might be a slightly bigger problem for the Sagittarius couple is that they both believe they’re right. Both are seekers of truth, but where one partner’s truth doesn’t match the other’s, there could be fireworks. This can pose a threat to Sagittarius man Sagittarius woman compatibility – if they have different religious beliefs, for instance, or different opinions on parenting – but it helps to bear in mind that both of these partners belong to a mutable sign. Both the Sagittarius man and the Sagittarius woman are highly adaptable and willing to compromise. If they’re truly in love, they will talk these issues through and find a solution. 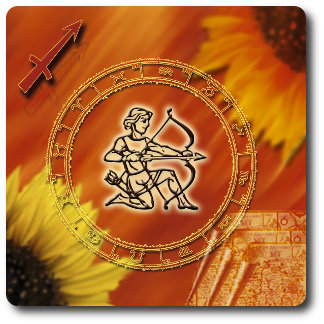 With little to stand in their way, then, Sagittarius man Sagittarius woman compatibility looks certain to run and run. The result is a fiery, passionate and extremely enthusiastic couple whose laughter is infectious and who truly know how to live life to the full – and by their own rules.